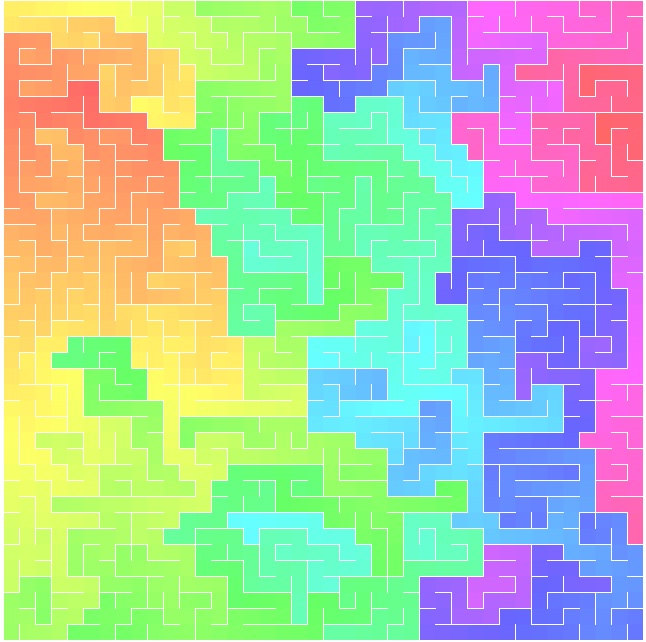 It all started with a way to visualise the distance of each square in a maze. 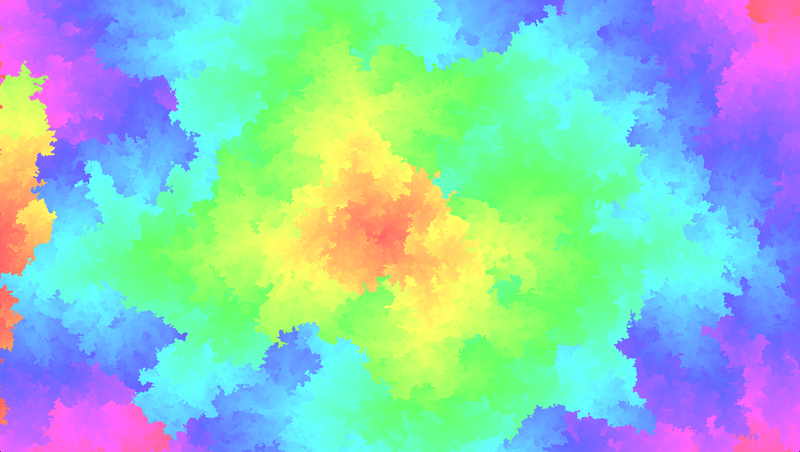 From start to end, it uses the entire color hue. Decreasing the wall size was very pleasant visually. Visualising the progress of the construction is also very nice, like a growing organism. 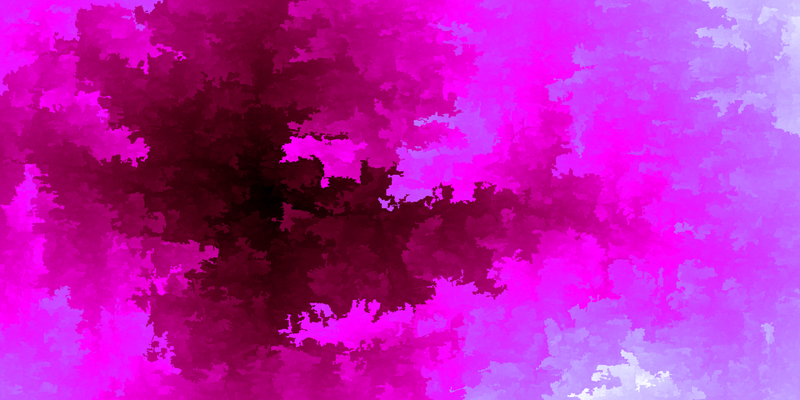 Forgetting about the initial goal, here is a very nice colourful render. Technically, the rendering is done using HTML canvas. 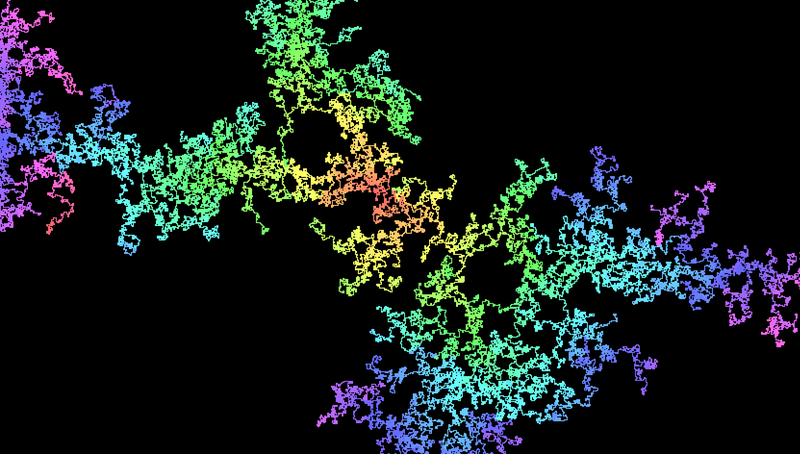 I will detail the maze generation algorithm itself in a future post. This led me to notice that using the HSL notation when drawing on a canvas was 3 times slower than using other color notation. (I created this JSperf). I filled a bug report on the Chromium bug tracker, let’s hope it will be addressed in the future. The colourful visualisation is published online, you can run it here.